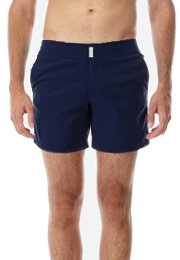 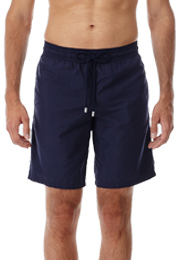 The unbeatably smart look of these Merise plain men's swim shorts make them a seaside essential. 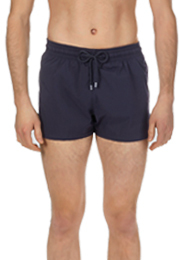 Their fitted cut and back seaming shape and enhance the physique. 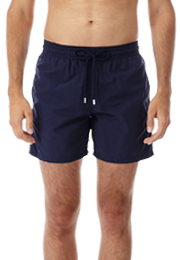 They feature two slanted pockets and a back pocket with Velcro fastening, as well as a flat waistband fastened with a rectangular press-stud personalised with the Vilebrequin logo.